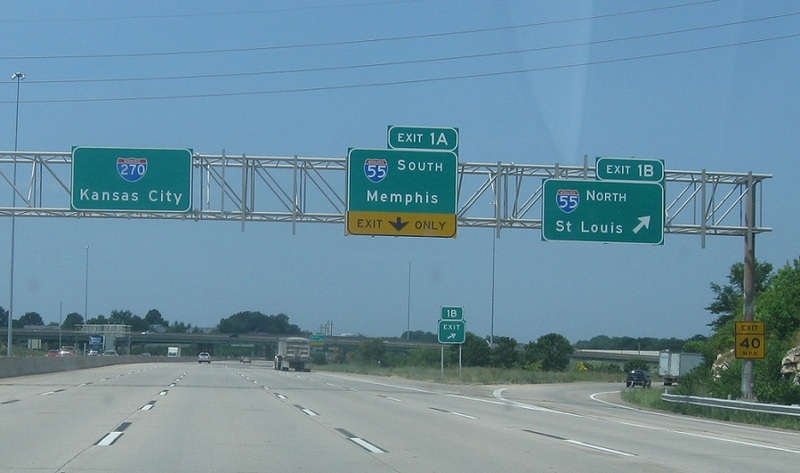 In a mile, we’ll approach Interstate 55. 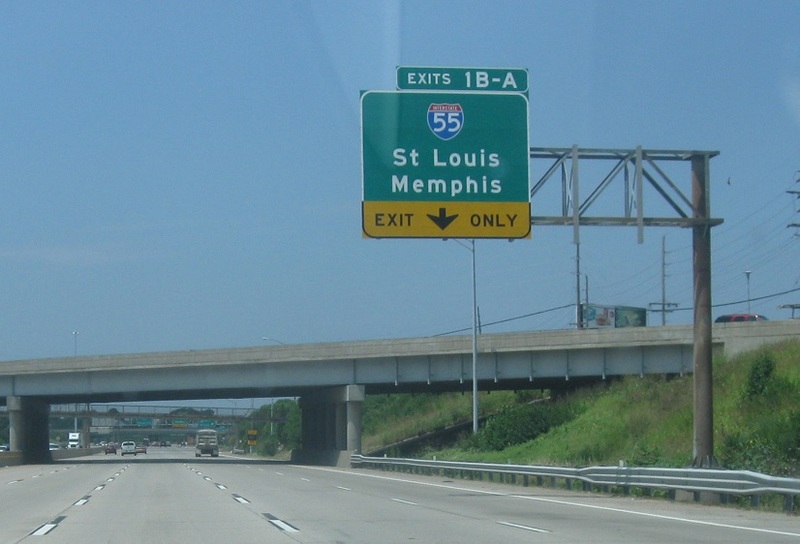 Follow 55 north to St. Louis. I-255 turns into I-270. 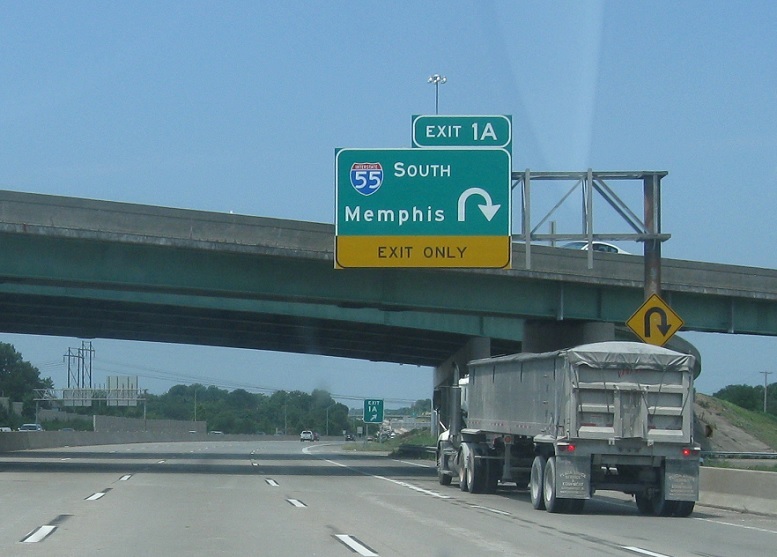 Follow 55 south to Memphis, Tenn. Stay straight for I-270 west. I-255 ends.